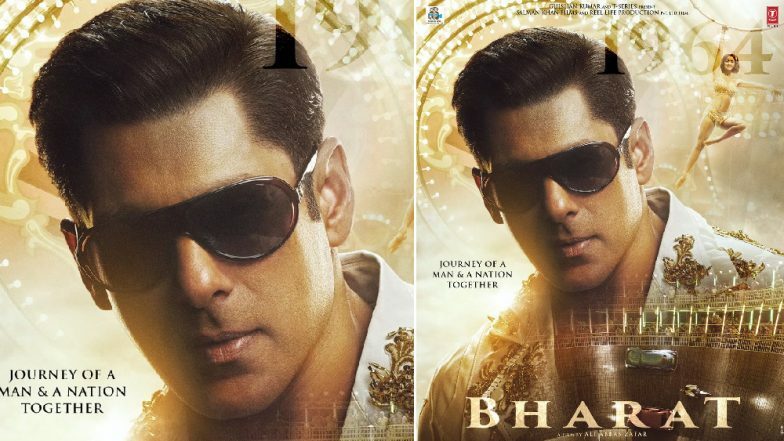 The makers of Bharat released a poster yesterday (April 15) in which Salman Khan’s look as an aged man was revealed. Now with this latest poster, you’ll get to see a young and leaner man. Salman has undoubtedly impressed us by donning the blingy outfit. But our attention is also drawn towards the trapeze artist in the background who is none other than, Disha Patani. Bharat: Salman Khan Unveils His One of the Looks From the Movie, His Greys Win Extra Hearts. Yes, it is not just Salman Khan who is stealing the show with this new poster. But Disha Patani’s look, though it is not that prominent, has equally won hearts. This poster has given out many other details besides the look of Salman and Disha in the film. Salman who is playing the titular role, will be seen as a stunt man in a circus, whereas Disha who is playing the role of his onscreen sister, will be seen as a trapeze artist. So will Salman be seen playing as a motorcycle rider is something we got to wait and watch. Bharat: Salman Khan Looks Equally Charming as an 'Old Man' and We Bet You'll Agree With Us - View Pic. Bharat, directed by Ali Abbas Zafar, will feature Katrina Kaif opposite the handsome hunk. This film will also star Tabu, Jackie Shroff and Sunil Grover in pivotal roles. This film is all set to release during the time of Eid this year, June 5. Share your thoughts with us about the younger Bharat in the comments section below.